THE Australian Army commemorates March 1, 1901, as its official foundation date. 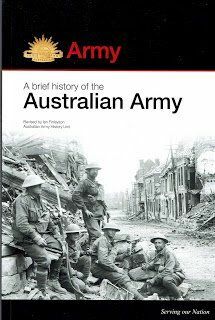 Brief History of the Australian Army, which is now in its fifth edition. The latest edition, which now devotes its first chapter to “European Settlement and the Aboriginal Resistance 1788-1920”. Pardon, run that by again? Engaging in so called frontier wars against Aboriginal resistance, as the current brief history edition claims, were never part of our army’s history. Yet again the politically correct Canberra-based social warriors are rewriting history to suit their own agendas. The Australian Army’s proud record since 1901 should be freed of such slurs. Shiny Arses muck up again. why aren’t I surprised? Get accustomed to it. You should see the way the Canberra “Headshed” are treating the troops these days. I’m glad I’m out. Absolutely appalled once again history has been rewritten to please revisionist historians. Since the Australian Army came into Being in 1901 anything that happened before that date is nothing to do with the Army . As for the rest of it l am at a complete loss of words. This PC stuff (I was going to say crap) is used by a cohort to stir and incite disunity. This type of journalistic clap trap feeds the feeble minded and creates a them and us mindset, much like the ABC who everyday deliver a one sided view of how aboriginals were and are treated by the white settlement. The Australian Army has enough problems created by PC nonsense without dragging them into this rotten bigoted and racist so called fairy tale.